New product failure rates are often quoted at over 80% – and fewer than 5% of new brands are deemed to be clear successes. We want to put this statistic to the test, so have built an NPD Monitor to review NPDs which launched in the UK 12 months ago. Our intention is to build this to a two year measure. 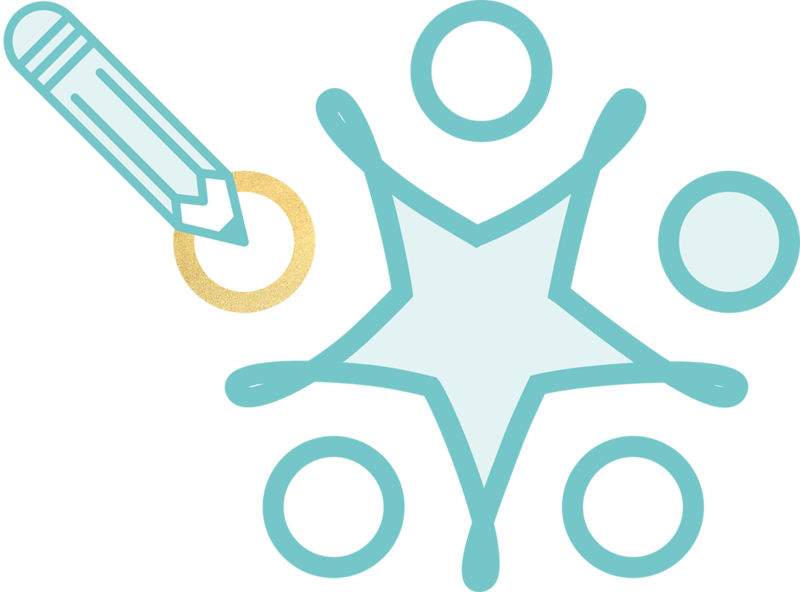 Each month we choose 3 of these NPD’s to understand what has made them successes or failures, based on what we believe to be the 4 new product launch imperatives. Airwick Freshmatic Odor Detect always seemed to be capitalising on really sharp consumer insight. The need for a fresh fragrance home appears to be somewhat of a double-edged sword – you only want it when you need it so that your home is always fresh and welcoming and you don’t want to be over-powered by it when you don’t. 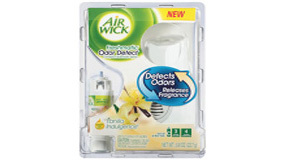 Airwick Odor Detect truly steps up to the plate to solve this consumer need dichotomy. The stature of the Air Wick brand and track record of creating revolutions in how home fragrance is delivered, (the first to break away from solids and sprays with the invention of plug-in’s and automated gadgets), giving Air Wick the ultimate credibility for this newbie. Whilst this looks very similar to all the other air freshening “gadgets” on the market, the way it works is truly unique. The product claims to have an “electronic nose” that can detect changes in the atmosphere and automatically activate its air-freshening mechanism. This is the first product on the market to respond to the problem (odor), instead of a non-related trigger (timer or motion). Airwick have adopted a true “does what it says on the tin” approach. I doubt any consumer, (even one that is new to the air freshener category), would have any issues understanding the functionality and benefits of this product. It quite simply “detects odors and releases fragrance”. You would think the concept of a kids sausage would go down a treat. I’m sure parents are constantly striving to hit the ‘sweet spot’ in finding foods their kids will love and that are also good for them. Sausages are probably up there as being a classic kiddy favourite, but renowned for containing poor quality meat and bulked out with artificial and unhealthy nasties. Ellie & Roddy’s spotted the theoretical opportunity, but failed to make it real. It’s unusual that the strength of the parent brand, Debbie & Andrew’s may have actually contributed to the demise of this launch. Their brand proposition of being wholesome, high quality, no nasties and personal is likely to already have high appeal to parents with kids, so was it really necessary to create a new sub-brand? Were parents’ needs already satisfied by the existing offer? Was ‘kids’ the right direction to stretch the brand? A kids sausage was indeed unique, but the communication to the consumer of how it’s different to a normal sausage was key to unlock appeal. This product had the goods, but unfortunately they didn’t tell their story very well. They needed to better reveal what was behind the name ‘perfect’ – why are they perfect for kids? For starters, the sausages are in fact a unique size – about half the size of a standard sausage, making them easier for kids to eat. Seeing really is believing though, so show the consumer the actual sausage, and don’t hide half of it behind the packaging. Secondly, upon further digging, I was interested to find out that these sausages are healthier than the standard Debbie & Andrew’s range and contain less salt and fat. A healthy sausage in kiddy size – sounds like a pretty unique and compelling proposition to me, and would probably convince me they are worth paying +36% extra (per kg) for, over Debbie & Andrew’s standard sausages. It’s not obvious that these sausages were targeted at parents with kids. 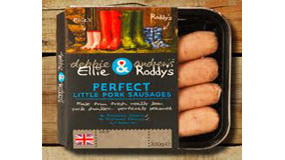 The sub-brand, Ellie & Roddy’s, a few pairs of little wellies, and the product descriptor of “little pork sausages” doesn’t go far enough to differentiate them from the rest of the range. Sometimes being literal is necessary – a “made especially for kids”, or “kids reduced salt and sugar sausages” claim could have made all the difference. What’s better than a few cocktails on a fine summery day outdoors? Unfortunately, glass bottles are often banned in these kinds of places, but Malibu have overcome the portability issues by deploying the “booze in a bag” concept. Malibu has long been the base liquor of many popular cocktails, so it makes sense that they would know what goes with it for the ultimate tropical taste experience. The brand is also renowned for being young, free spirited, sweet and exotic, so the bright, funky execution is no surprise. 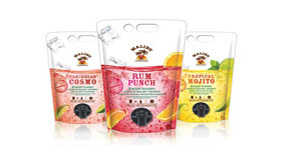 Brands like Bacardi, Caribbean Twist and Sourz have had the ready-made cocktails market sewn up for quite some time, so the drink concept itself isn’t unique to the market place, but the structural packaging most certainly is – well, for cocktails at least – with some ‘borrowing’ from the wine category. This launch is intuitive within every inch of it’s existence. The cocktail names are mainstream, and therefore recognisable, and if there is any doubt, the fruit imagery helps communicate the taste. The pack structure includes a built-in tap and carry handle for out and about convenience and the size of the pack implies it’s made for sharing…. although I’m sure some may find it tempting to guzzle the whole 1L themselves…!